I told you I would share with you in my blog post titled, “How I Build My Children’s Capsule Wardrobe Using Project 333”about how I implement my laundry system. Laundry is a task you must stay on top of or it will grow and become overwhelming. When I didn’t have a system in place, I felt defeated. If you have a big family and especially if you have little toddlers, everyone have needs and activities you must attend to. You can forget that you put a load of clothes in the wash, having to rewash that same load of clothes again, even twice. I know I’ve done that multiple times. I’ve wasted a lot of washing detergent that way. If you don’t follow the system of washing your clothes, drying them right away and folding them after it dries, when your children need clean clothes to wear and you tell them to go get them out of the dryer, they can create a real mess by looking through the pile of dry clean clothes and spreading them out on the floor, mixing the clean clothes with the dirty ones. It is better to find a system for tackling your laundry so you don’t feel like you are spìnning your wheels and going no where with the laundry. Having a system in place can eliminate a lot of stress. I talked about how I only give my children 33 items to wear in their wardrobe because I was tired of washing clothes. I felt like the clothes were growing. No matter how much I would get caught up on my laundry, I always felt like I had more clothes to wash. It seemed like a never ending task. This is the one of the reasons why I want to live more minimally, read my blog post titled, “My Journey To Living A Minimal Lifestyle”. I knew I had to do something different to defeat the laundry task and make it more easier on myself. My family decluttered and eliminated a lot of clothes out of our wardrobe. Then I came up with a laundry system and here it is. I’ve incorperated my whole family to help me with laundry except my husband, all he is responsible for is getting his laundry into his own laundry basket and I take it from there. My 12, 7, and 5 years old daughters are learning to wash their own clothes. I am slowly teaching my 3 year old son how to wash his laundry. I brought everyone their own white laundry basket from the Dollar Tree. Everyone’s laundry basket is stored in their closet. At the end of the day or when one of the kids has to change, we put our dirty clothes in our own laundry basket. I let everyone pick a day to wash their laundry. We wash 6 days of the week. I wash towels on Wednesdays when I wash my husband’s laundry. I wash our ( husband/wifey) cover, sheet, pillows and pillow case on Fridays, when I wash my laundry. When the kids wash their own clothes, they wash their cover, sheet, pillow and pillow case as well. Notice I said sheet and not sheets. I let go of the top sheets on all of our beds, it made making up the beds take longer and it was harder for my little children, so I eliminated it. It also helped me to cut down on laundry. Now making up the bed is so much quicker. All of the beds in my home have 1 cover, 1 flat sheet and the little ones have 1 pillow and one pillow case. 2 of my children do not sleep with a pillow case on their pillow, they will take them off as soon as it it time for them to cuddle with their pillow. I keep them for when we have guest over, I then make them keep it on the pillow. My 12 year old have 2 pillows and my husband and I have 5 pillows. Some are decorative pillows. We have a front load washing machine and dryer. It is very easy for the kids to take their laundry out of the laundry basket and transfer it right into the washing machine. We sort the clothes into white/bright and color. I help my 7, 5 and 3 year old with pouring the laundry detergent but that’s it. My 12 years old daughter can pour detergent by herself. I always have my washing machine on one setting. They push the button to wash and that’s it, then we wait until it’s done. After the clothes are done washing, they transfer the clothes into the dryer and push the button because the dryer is always on the same setting as well. We wait for the clothes to dry, then they fill their laundry basket up with dry clean clothes and hang everthing on a hangers, except their under garments, socks and pajamas. We hang their clothes in their closet. Then they put all of their linen back on their bed. Click here to read my process for decluttering my kids clothes from an old Instagram post. I also purchased two smaller baskets from the Dollar Tree that fits into their drawers. The socks are sorted and folded and goes into one basket and the under garments are layed neatly in the other basket. They fold their pajamas and store it away in the drawer. I use the same system with my son. He has one white small basket that fits inside his drawer and I put his socks inside the basket, and his under garments outside the basket. His drawer is too small to house two basket. So we just use one to seperate his socks and under garments. I allow him to transfer his clothes into the washer and tranfer them into the dryer. I wait for his clothes to cool down and let him help me take them out the dryer and transfer them into the basket. I hang up all his clothes, even his pajamas because his drawer is a desk that we sit our computer on top and it only have 4 drawers, 3 small drawers and 1 long drawer. His shoes, socks and undergarment fits in those drawers and his t-shirts fits in the long drawer. I let him match his socks. I fold them and he put them away in his basket that’s in his drawer and he put his under garments in his drawer. I changed my son dresser since then but the storing system, space and closet are the same, click here to see an old Instagram post about his system. Then I put his cover, sheet and pillow back on the bed. We don’t fold clothes in my home, we hang them up, because it save time and it’s much more organized that way. We only store under garments, Pjs, socks/stocking and workout clothes in the drawers. This is our system for keeping our laundry under control and this is how I eliminated the stress out of washing clothes. I would love to hear how you implement your laundry system. 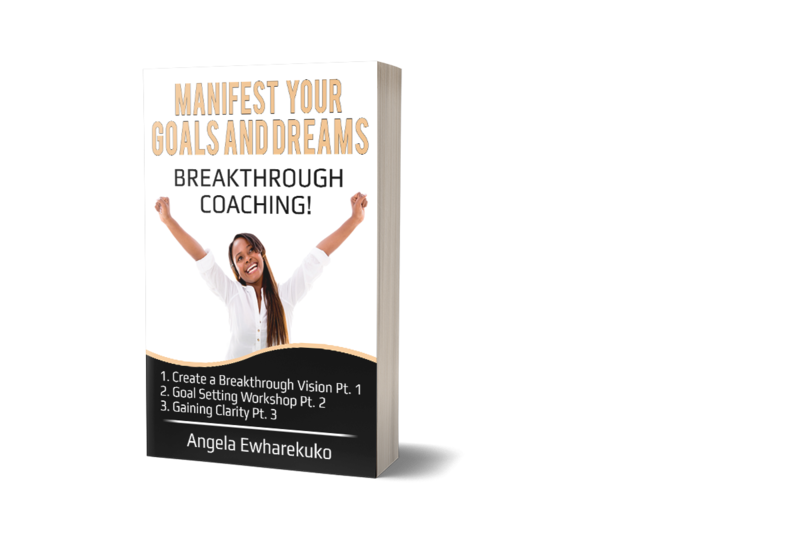 Comment and subscribe to Breakthrough Blog 4 Women. Follow me on my social media links down below. Click here to follow me on Instagram.